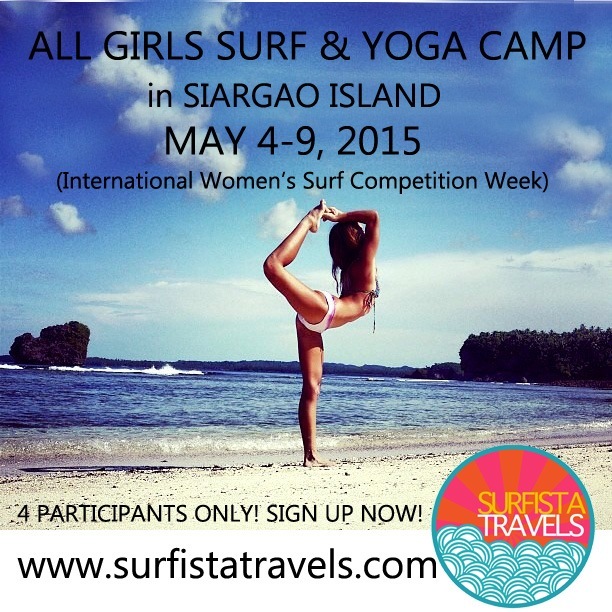 – It’s the FIRST SURF & YOGA CAMP in SIARGAO ISLAND in Surfista Travels history!! 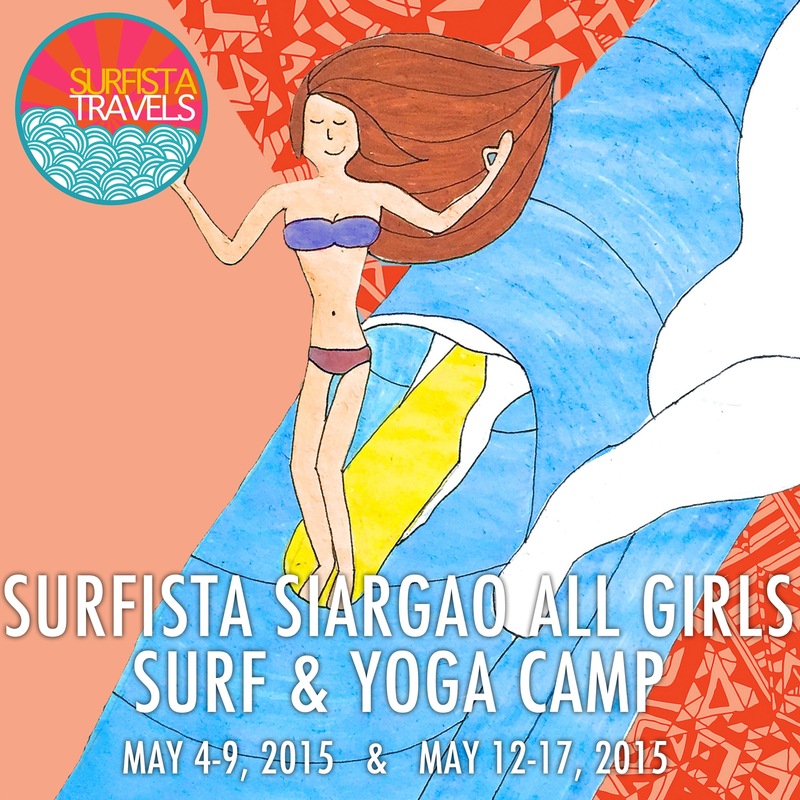 – It is the ONLY surf & yoga camp happening in the Philippines this summer! – The first camp will be happening during the Women’s International Surf Competition so we will get to watch the BEST SURFER GIRLS of the Philippines and a few from Asia compete!! – Only the BEST SURF INSTRUCTORS / best surfers on the island and in the Philippines will be chosen to teach our Surfista ladies. – The Surf tour / CAMP will be led by ELAINE ABONAL – who started surfing in the Philippines in 2002 and first went to Siargao in 2005. She’s considered a local on the island and she knows her shiznit!!! ;) She LOVES surfing, taking care of a group and absolutely loves what she does! – Private Surfista YOGA classes will be held by yogi & surfer LOUISE ALBANO who is from Manila but now based on the island and is considered to give the BEST yoga classes & will have surf specific programs during the camp. – We are going to be living the island & bikini life in one of the most beautiful islands and surf paradise any surfer can only DREAM of. – It’s AFFORDABLE enough for both locals & foreigners joining. Trust us – you will not find the same price from other international surf camps. – It’s a SMALL group so it’s very intimate! We will get to form deeper and more meaningful friendships while having a slumber party every day, surf together, visit Siargao’s surrounding islands and beautiful tourist places together, laugh, meet locals, yoga, chill, take photos & party together! You’ll go home from our Surfista camps a better surfer and richer with memories and experience.